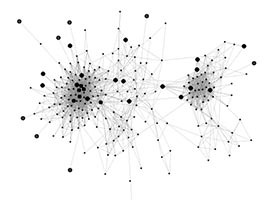 Register for the Rob|Arch 2016 conference. Rob|Arch 2016 will feature many workshops by world-class institutions. We are extremely pleased to congratulate this year’s Rob|Arch Award Winners! 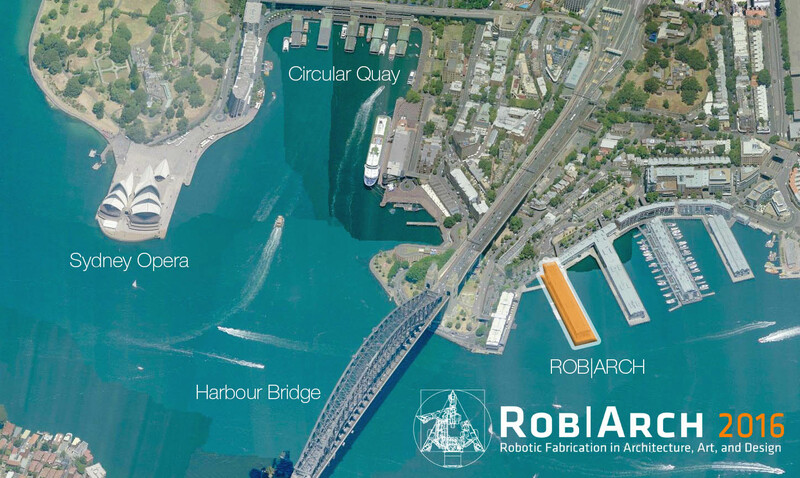 The current Rob|Arch program is now available for download HERE. 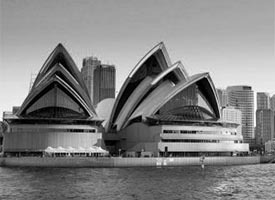 NSW architects who attend 2-day Rob|Arch conference, 17th -19th March at Walsh Bay, Sydney will be awarded 10 hours of formal CPD, based on required learning outcomes. 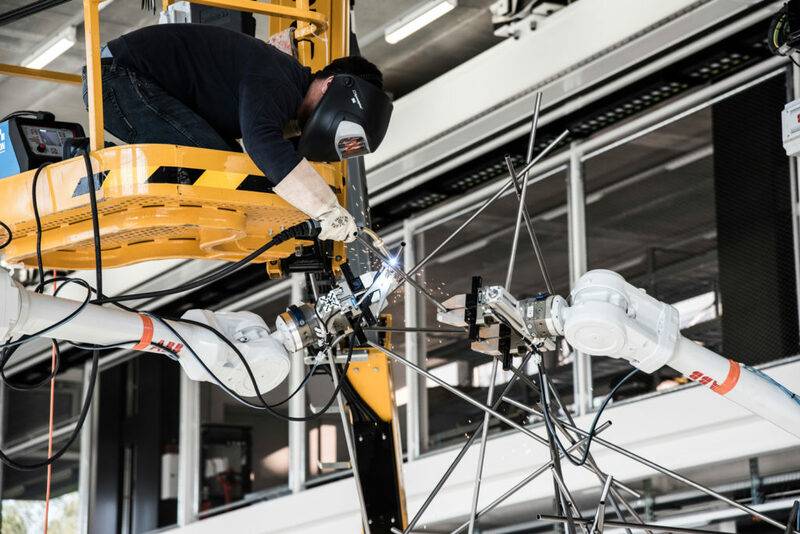 Join world leading researchers from Harvard, MIT, ETH Zurich and IAAC(Barcelona) and experience the forefront of new robotic technologies and applications ranging from the construction industry to interaction design and creative practice. François Roche architectural designs and processes have been show at, among other places, Columbia University (New York, 1999-2000), UCLA (Los Angeles, 1999-2000), ICA (London, 2001), Mori Art Museum (Tokyo, 2004), Centre Pompidou (Paris, 2003), MAM / Musée d’Art Moderne (Paris, 2005, 2006), the Tate Modern (London 2006) and Orléans/ArchiLab (1999, 2001, 2003). Work by R&Sie(n), New-Territories were selected for exhibition at the French pavilion at the Venice Architecture Biennales of 1990, 1996, 2000 and 2002 (they rejected the invitation that year), and for the international section in 2000, 2004,2008, in 2010 both International and Austrian Pavilion, in 2012 with small multiple cessions (Dark Side Curating, Slovenian Pavilion, Writing Architecture), and in 2014 in Bembo Pavilion. In 2015, New-Territories was invited at Chicago Biennial and Acadia Cincinnati (as in 2008 in Minneapolis). Among the teaching positions held by François Roche over the last decade is guest professor at the Bartlett School in London in 2000, the Vienna TU in 2001, the Barcelona ESARQ in 2003-04, the Paris ESA in 2005, the University of Pennsylvania in Philadelphia in 2006, the Angewangde in Vienna in 2008, the USC-Los Angeles in 2009-10-11, the Gsapp Columbia, in the period 2006-2013, at Upenn, Philadelphia 2013-14, at RMIT Melbourne 2012-2015, and Michigan Ann Arbor 2015. “Carrara Robotics” by Jelle Feringa (Odico) and Lucas Terhall (Hyperbody). Submitted through the Rob|Arch 2014 Call for Videos with 158.000 playbacks so far. 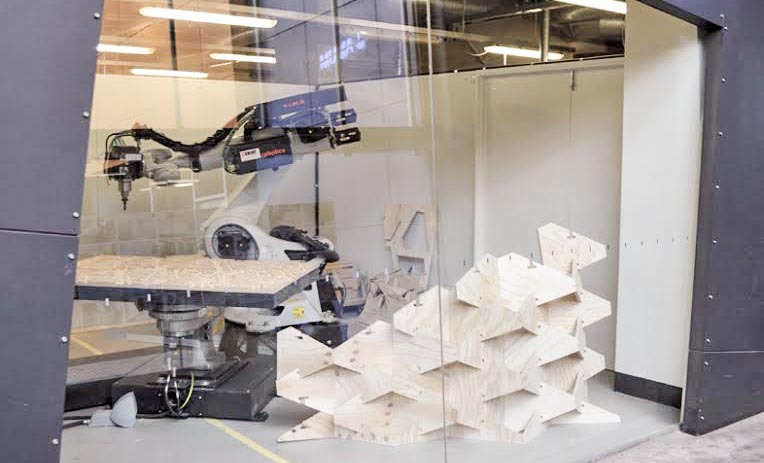 As part of this year’s Rob|Arch we are again asking architects, designers, researchers, artists and anyone else working with robots in a creative way to submit their videos as part of the Rob|Arch 2016 Call for Videos. A multidisciplinary jury will view all videos and select the best submissions. 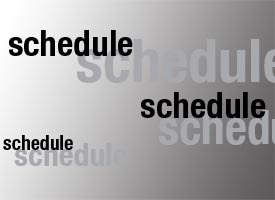 The accepted videos will be properly referenced at all times and displayed without any advertisements. One initial still image will be added for each video, stating the title, author, and a Rob|Arch 2016 logo. The videos will also be publicly shown to an expert-audience at the Rob|Arch 2016 Conference in Sydney. To submit a video, please follow the instructions HERE. 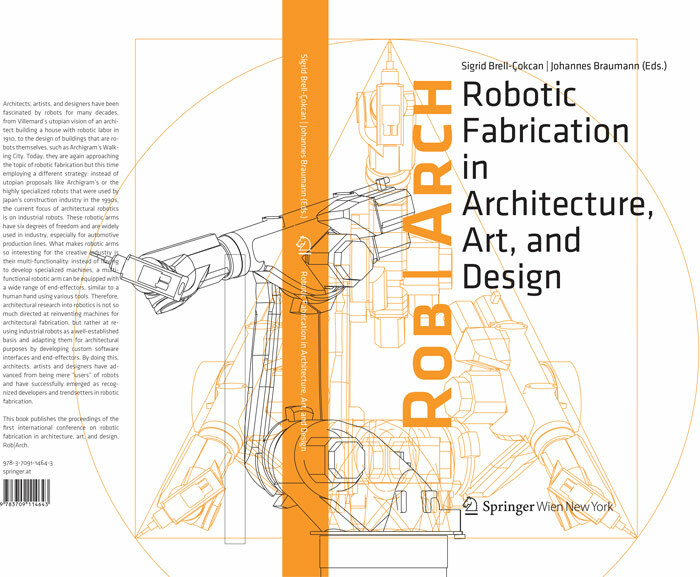 The deadline for the submission of full papers for Rob|Arch 2016 is in exactly a week on June 15th, 2015. Anyone who submitted an abstract should have gotten feedback by the end of last month, however anyone can submit a full paper, i.e. also authors who haven’t submitted an abstract.